Other CAD reviews by real, verified users. Find unbiased ratings on user satisfaction, features, and price based on the most reviews available anywhere. 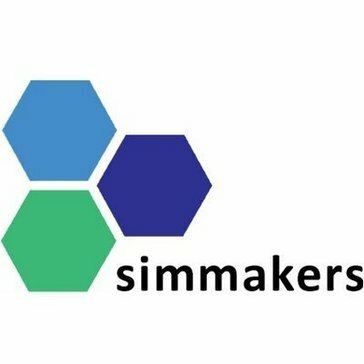 Simmakers LLC, developer of the Frost 3D Universal software package, is a resident of the Skolkovo innovation center. Our company cooperates with the world's leading research centers and has been developing high-tech software since 2001. GASP is a structured/unstructured, multi-block CFD flow solver which solves the Reynolds Averaged Navier-Stokes (RANS) equations as well as the heat conduction equation for solid bodies. GTXRaster CAD Series is a solution that helps bring legacy paper drawings into the autoCAD environment allowing you to modify scanned raster archives to help you manage flexibility and speed. Hurricane for AutoCAD is CAD software for engineers. ICMLive is a live modeling tool that integrates with hydraulic models, SCADA historians, and weather forecast databases. It provides a near-real-time view of network performance and alerts your team to adverse events. IMAGINARY is a platform for open and interactive mathematics. It features a variety of content that can be used in schools, at home, in museums, at exhibitions or for events and media activities. The main contents of IMAGINARY are its interactive programs and its picture galleries. IMOLD for SOLIDWORKS is a powerful, completely SOLIDWORKS integrated CAMD tool for streamlining and automating the mold design process. InfoSWMM is a GIS-centric hydraulic, hydrologic, and water quality simulation model for urban drainage and sewer networks. It provides analysis for the planning and management of stormwater, sanitary sewer, and combined sewer networks. iVisit360 is an innovative technology for panoramic and virtual tour presentations. Kenesto is a simple cloud-based product document management system. Kenesto provides the necessary tools users need to share, view, collaborate easily with external users, manage permissions, create versions and lock documents for day-to-day work. Kubla Cubed is software for estimating earthworks cut and fill volumes. It can be used to to takeoff existing heights from plans and then plot proposed design elements (platforms, slopes, topsoil strip and surfaces). Volumes are calculated in real-time and designs can be exported to CAD, images, MS Word reports etc. LITIO 2.0 is a sheet metal add-on for AutoCAD and GStarCAD, that calculates and draws the flat sheet development of ducts, rectangle-to-round transitions, cylinders, cones, pipe intersections, connections, bifurcations, elbows, etc. It is very easy to use and very versatile. LoopCAD is the premiere software for the fast creation of professional quality circuit layout drawings for radiant heating systems. A CFD software made to automate CFD simulations to keep them simple, fast and reliable. MPDS4 is a pipework software offers intelligent routing functionality and powerful tools for dynamically loading, positioning, replacing and analysing piping components, manually or automatically. MPDS4 includes catalog component libraries; automatic consistency checking; interference checking; automatically generated reports and parts lists. Muldrato is an automated software solution for text translations in CAD Drawings.Unlike conventional translation methods, our solution is accurate and user-friendly. Muldrato streamlines your translation process, resulting in significant time and money savings. It is based on a multilingual Phrase dictionary, which enables the translation of DXF/DWG drawings into any language. It changes only the text entities whereas graphical objects remain unaffected.Manual processing of translated drawings is not necessary because the position and width of the translated text match the original exactly. Integrator of innovative software solutions, Visiativ steps up the digital transformation of companies via its collaborative and social business platform. NOVO PROTM allows you to design and simulate a single plant with any combination of these resources, or a larger grid containing multiple resources with different performance, such as Solar fields or Wind farms in different locations and with differing irradiance and wind patterns. nXtRender optimizes design-time by saving the settings together with the 3D model and allowing post-render processing. OpticStudio® is the world’s leading optical, illumination, and laser system design software. With its comprehensive set of analysis and simulation tools, OpticStudio stands alone in its feature set. No other software on the market today offers state-of-the-art optimization tools for improving performance like OpticStudio. The top companies in aerospace, astronomy, automotive, biomedical research, consumer electronics, and machine vision, use OpticStudio as their tool of choice. Modelon's thought leadership in modeling and simulation stretches across multiple industries and application domains. Our technology positively impacts engineering productivity. Modeling and simulation of complex physical systems is a challenge worth taking. We can help. Packly is a suite of packing and prints softwares. HOW SIMULATION SOFTWARE WILL CHANGETHE CUSTOMER JOURNEY OF RAIL. PEP MAKES CAD/CAM HAPPEN The smartest and most automatic CAD/CAM software you've ever seen. Picador is a CAD software for laser cut machines. PiXYZ REVIEW allows you to easily import a wide range of CAD models from industry-leading solutions (Catia, NX, Solidworks, Alias...), easily handling large and complex assemblies. PiXYZ PIPELINE is a solution allowing to build the perfect strategy for automatically optimizing 3D models quickly and efficiently. It is a flexible offer that can be seamlessly integrated into your process. 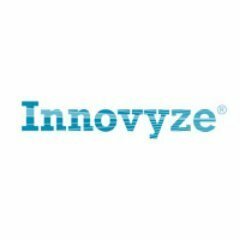 PiXYZ STUDIO is a unique 3D data preparation tool providing the best-in-class Tessellator, enabling the transformation of CAD data from industry-leading solutions (Catia, NX, SolidWorks) into lightweight, optimized meshes. Power Lines Pro is a 3D CAD web-based software package for designing and modeling overhead line systems for both utilities and telco companies. As power systems evolve, the need for accurate, intuitive simulation tools becomes more and more important. With PSCAD EMTDC you can build, simulate, and model your systems with ease, providing limitless possibilities in power system simulation. Included is a comprehensive library of system models ranging from simple passive elements and control functions, to electric machines and other complex devices. PowerPack v10 brings over 70 new tools to the existing functionality of ViaCAD v10 including tools to repair and validate models for 3D printing. ViaCAD 2D/3D has intelligent and easy-to-use design tools, coupled with an unbeatable price to performance ratio, that makes it the ideal choice for CAD designers everywhere. QuoteCAD Manufacturing is a solution for small businesses that require the basic and integrated functions of an enterprise resource planning (ERP) system. QuoteCAD manufacturing provides out-of-the-box, base functions for business areas such as manufacturing, customer relationship management, and supplier chain management. Realtime Technologies partners with researchers to create complete SimCore hardware/software vehicle dynamics modeling solutions. These range from our standard RDS-500 vehicle simulator (designed and built for cost-conscious researchers using off-the-shelf components) to custom mock-up vehicles accurately emulating current or future production vehicles or concepts. AnyLogic simulation modeling provides a Road Traffic Library, enabling traffic flow simulation with the power to deliver the most efficient road traffic engineering and design. Clear visualizations quickly aid development, with density maps highlighting congestion, and animations demonstrating traffic flow and bottlenecks. The freedom to experiment, and the ability to optimize accurate models, with traffic simulation software, provides the best platform for success in road traffic planning and engineering. Real-time simulation solution that helps businesses create projects with remote access, dashboards, and data integration. SCADAWatch provides dashboards and analytics on key data sets. It empowers you to solve the daily operational challenges of distribution and collection networks. Scan2CAD is a conversion software built for engineers and designers, allowing you to convert your designs for CAD. Scandy is a world leading 3D scan to 3D print service. Scia Engineer is used to design using many different materials including steel, concrete, aluminum and wood. It allows for finite element calculations, code-compliant design, modelling tools, and easy reporting and preparation of drawings among other features. Shark LT provides a comprehensive, yet intuitive collection of 2D/3D drafting and modeling tools for professionals that want professional CAD at an affordable price. Acoustics simulation helps you minimize noise or optimize sound quality in designs. http://simright.com provides cloud-based solutions for CAE simulation and product design. Hi there! Can I help you find the best Other CAD solutions?